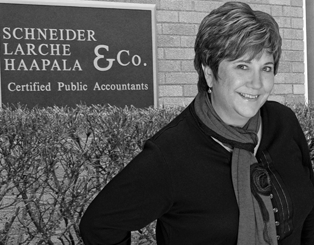 Roberta is a veteran of Schneider, Larche Haapala & Company, beginning her employment with the firm in 1979. She was born and raised in Escanaba, Michigan, and works in the front office as a secretary. Roberta can help you if you need to schedule an appointment, need copies of prior tax returns, or need a document notarized.